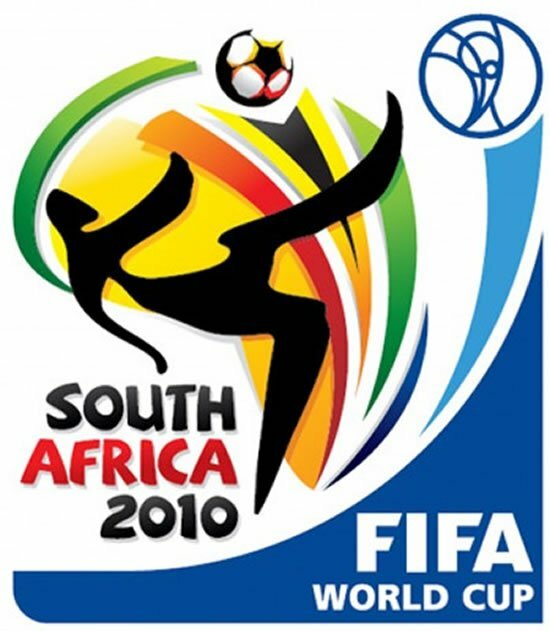 If soccer is the world’s favorite sport then the FIFA World Cup is undoubtedly the event that brings all soccer fans together. 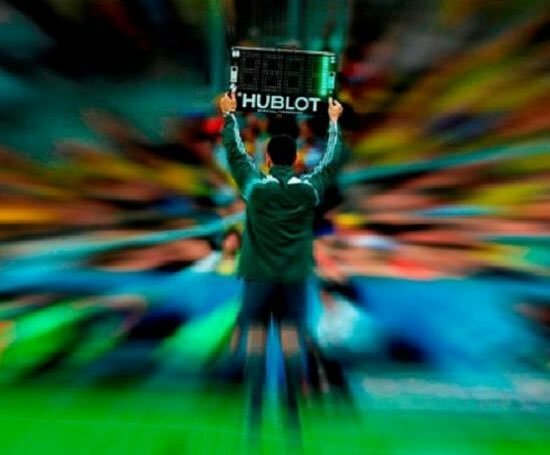 Since soccer is played in most countries and has fans of all ages and backgrounds, it’s hardly a surprise that brands across the spectrum want to get in on the action offered by this sporting event. 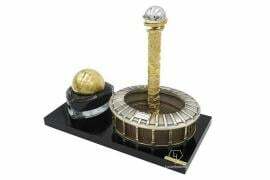 From luxury brands like Dolce and Gabbana to more affordable picks like Furla, everyone is showing off their football fever with collections celebrating the FIFA cup and its host nation Russia. The Italian designer dui who are usually known for their red carpet looks are celebrating soccer fever with a special menswear capsule collection. 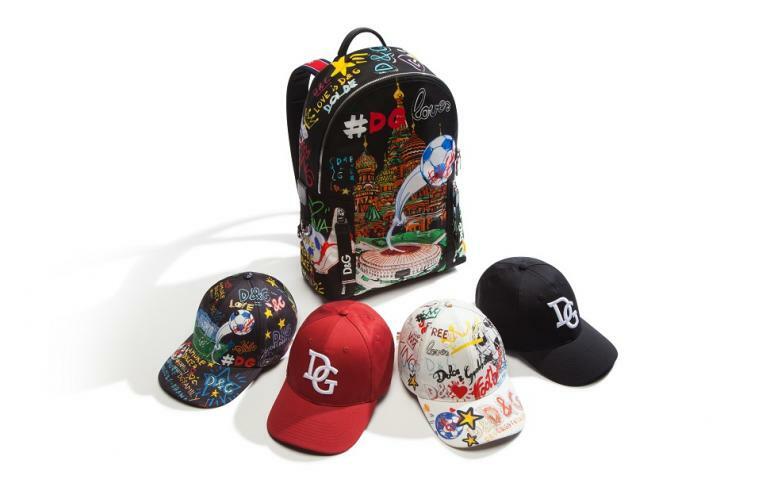 The collection includes track suits, t-shirts, pullovers, sneakers, and baseball caps that feature either graffiti inspired designs and doodles or a bold, sporty version of the Dolce & Gabbana logo. 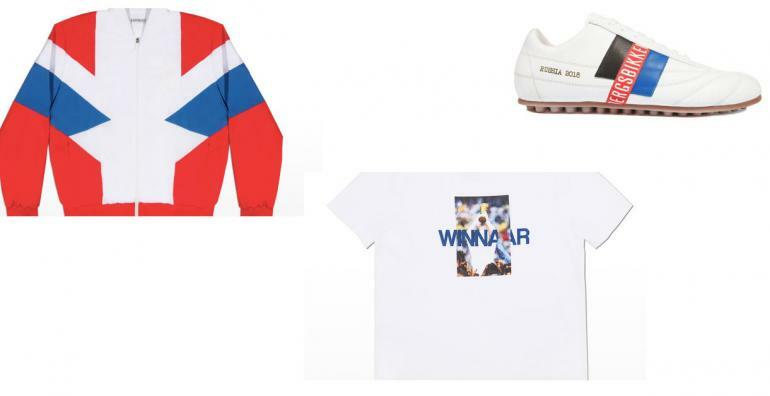 Not only was Belgian brand Bikkembergs tapped to create the off-the-field uniforms for the Russian soccer team, but the brand has also debuted a capsule collection inspired by the FIFA World Cup. 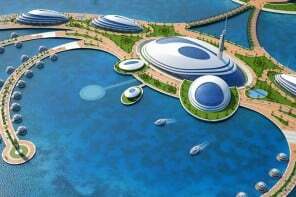 The collection includes jackets, shorts, t-shirts and shoes all featuring the Russian flag colors of red, white and blue. 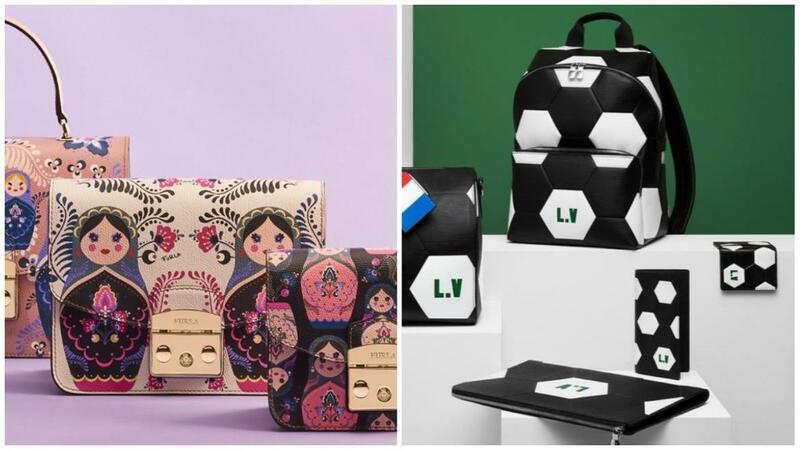 For the soccer fans who also love their handbags, Furla has announced a collection inspired by the host nation Russia – and specifically their famous dolls. 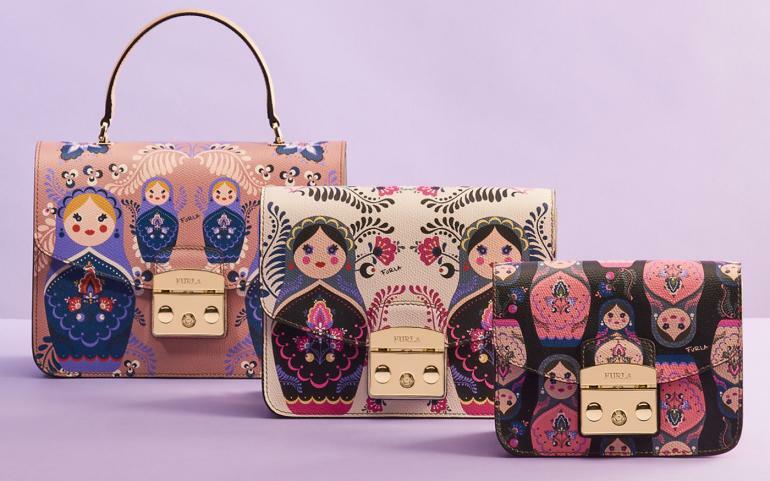 The three piece collection includes a mini cross-shoulder, a model worn on the shoulder and a model with a handle all featuring adorable Russian doll prints. 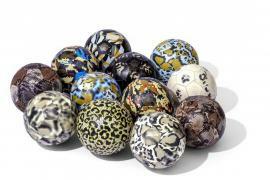 This collection will be sold exclusively in Russia. 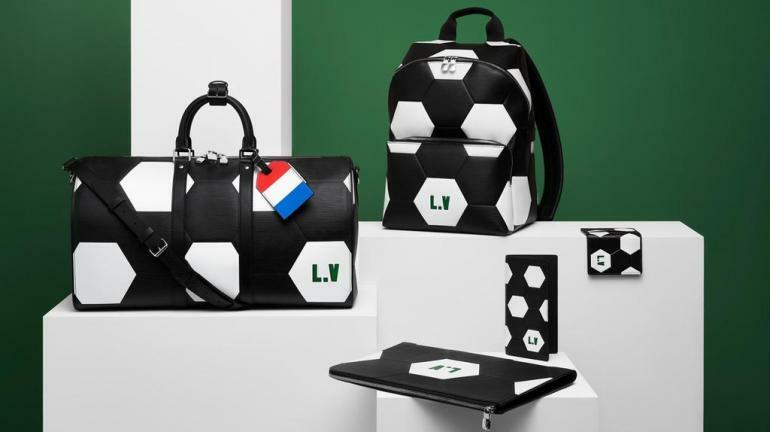 This collection puts a sporty spin on familiar LV classics like their Speedy and Keepall bags by covering them with leather panels to resemble soccer balls. A standout item is the “Made-to-Order” Keepall which features the red, white and blue colors of the Russian flag. 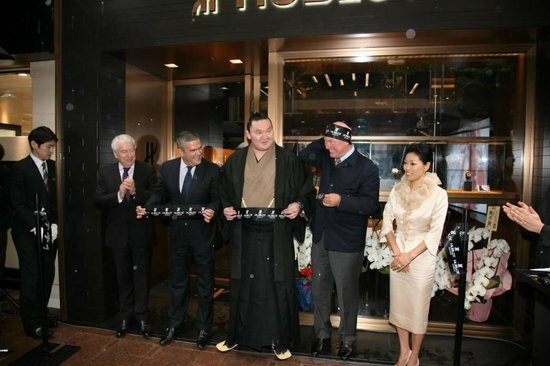 Next articleWhat do luxury brands think millennials want?